Home Gadgets Is A Projector The Right Choice For Your Home? In the past, it was the television that were most commonly used in the home theatres of the majority, with projectors being reserved mainly for those with higher salaries. That is not the case anymore though, because as home projector systems have gained increasing popularity, their prices have gone down considerably. This means that most people can afford a projector for their home theatre set-up, regardless of the budget they have. Projectors offer some amazing benefits that televisions can’t compete with, making them the ultimate centrepiece for any movie and sports lovers home theatre. However, before you rush out and buy one for your home, there are some important aspects of quality projector screens that you need to consider. It may not suit your home, after all and you may be better off investing in a larger television. With that thought in mind we are going to discuss some of these aspects and how your home cinema experience could benefit from the use of a projector system. Due to their size, many people worry about the potential for blurred pixels and distorted images when using a projector. Although this may have been an issue in the past, thanks to major developments and improvements the images produced by modern home projectors is just as crisp and clear as television. Not only that, they are capable of producing the same crisp and clear images at often double or triple the original size. Therefore if you are looking to recreate the experience of being at the cinema in your own home, a projector in this regard is a far better option than a television. Another common aspect of using a projector system is ambient lighting and how it can sometimes reduce the picture quality or washout some images completely. However, this is not generally a problem, if you like to fully recreate the cinema experience and close curtains during screenings. As well as eliminating potential interference from daylight coming through windows or lighting in other parts of the home; it also means you can enjoy a more fully immersive cinema experience. If that wasn’t enough, watching movies via a projector can actually reduce eye strain that is often caused by the smaller size of a television screen and the bright glare that is emitted from most. Contrary to what you may believe, and it is not really surprising when you think about it, but rather than using up too much space, a projector in your home theatre could actually save you more space than a television. It was normally believed that projectors suited larger homes better, but as many modern models can be fitted to the ceiling and many have screens that can easily be retracted or tucked away, there is potential to make use of one in even the smallest room. Whereas, televisions take up a lot of space larger homes, modern projectors can easily be mounted to a ceiling, and retractable projector screens can be smoothly tucked away, so even the smallest space can be used as a home theatre when it’s movie time. Whereas televisions are more difficult to store away when they are not in use, so dictate the function and purpose of a room they are installed or set-up up in. Another aspect of projectors that many people get wrong is the misunderstanding that projectors are incredibly expensive. The fact is, it costs less for a projector that can produce a large sized screen than say an 100 inch screen television does. As we noted earlier, projectors are actually known to produce better picture quality, particularly when working with large screen sizes. It could mean the difference between paying a couple of thousand for a television or a few hundred for a projector. It is natural that many people reading this still may not be convinced that a home projector system is the right choice for them. Perhaps you feel the same. That is perfectly fine, as we all have to make the best decisions for our own circumstances. 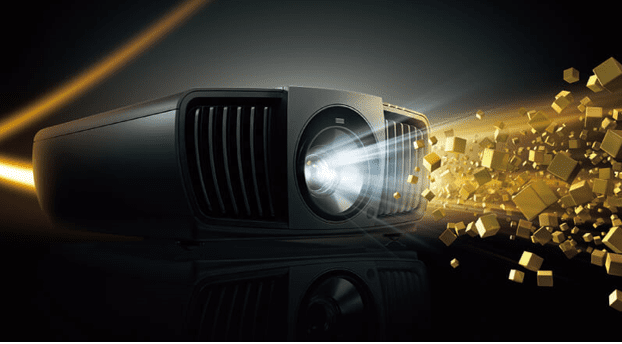 However, when you consider the major benefits we have outlined above that you can get, particularly if you want to have a home theatre that offers a realistic cinema experience, we feel it is pretty hard to dismiss projectors. We hope at the very least that the above post has helped to shed some light on some of the misconceptions regarding home projector systems. Previous articleHow To Choose A Site To Buy Instagram Followers?